The Soref Jewish Community Center has been providing high-quality preschool, after school, and summer camp programs since 1977. We have two great locations in NW Coral Springs and Plantation. Summer camp begins June 10th and runs through August 9th, and everyone is very excited! Preschoolers from ages 3 months to 5 years old may attend either of our great programs at the location of your choice. Our senior counselors are early childhood educators. Preschoolers will enjoy in-house shows with Rockstar 101, Superstar Productions, Ooopsy the Clown and more. Fun-filled activities include hip-hop, sports, cooking, arts & crafts, music and dance, bounce houses, and swimming. Our 16-acre campus includes a gym, theater, pool, fields, tennis, beach volleyball and much more. In the past two years, we have invested over $750,000 in renovations. 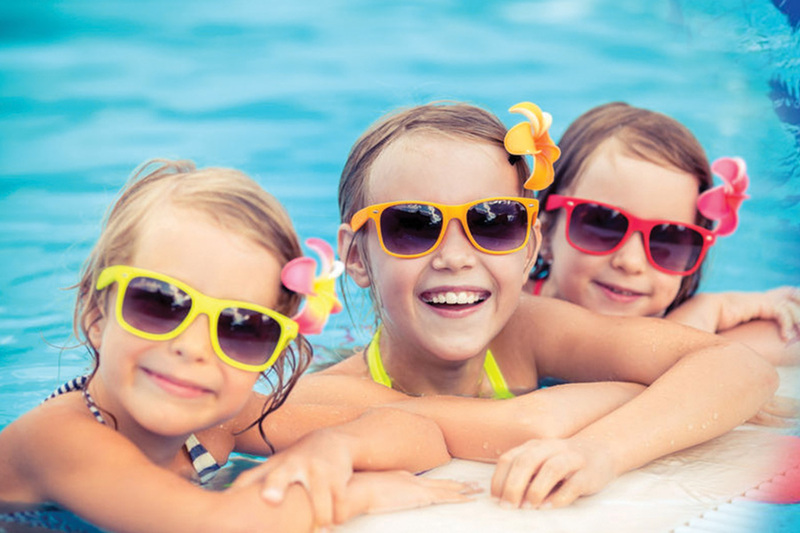 Every aspect of the JCC Summer camp provides fun and excitement for elementary and teen campers (up to 14 years old), offering a comprehensive experience that includes travel, swimming, and activities galore! We offer bus transportation to and from our Heron Lakes facility in the Shoppes at Heron Lakes. Teen campers will travel three days a week to exciting destinations throughout South Florida, and the other two days they will enjoy our campus amenities. Elementary campers will enjoy weekly trips, in-house shows, contests and lots of fun activities to keep them busy. All campers, when on campus, will receive a kosher buffet lunch. Each Friday will include a Shabbat celebration. And don’t forget the color war! Poconos sleepaway camp is available for campers in grades 5 and up during the week of July 22 – July 28. We also have an optional day trip to a major Orlando attraction for grades 4 and up. Safety and security are our priority. Our staff includes credentialed teachers and college students who have many years of camp experience. Junior counselors are high school juniors or seniors who are at the top of their class and involved in multiple activities at school and in their community. Our staff is thoroughly background checked. Specialists will complement our counselors and are qualified instructors in their fields who will lead children in activities including arts and crafts, dance, drama, martial arts, sports, indoor and outdoor games. Our pool uses certified lifeguards and swim instruction is provided daily as well as free swim. Join us and give your child a memorable camp experience that will last a lifetime! Note that the Soref JCC does reserve the right, in its sole discretion, to give campers as many smiles as possible and the JCC assumes no liability for excessive smiling. Call now for a tour or simply stop by! Families can select (a minimum of) any 4 weeks. We offer sibling discounts and scholarships for families in need. Contact us at (954) 792-6700 in Plantation or (954) 346-0002 at Heron Lakes. You’ll be glad you did.